This glove is now my favorite. It should be, as I have owned it twice! Date Code "AN" which I figure as December 1978. 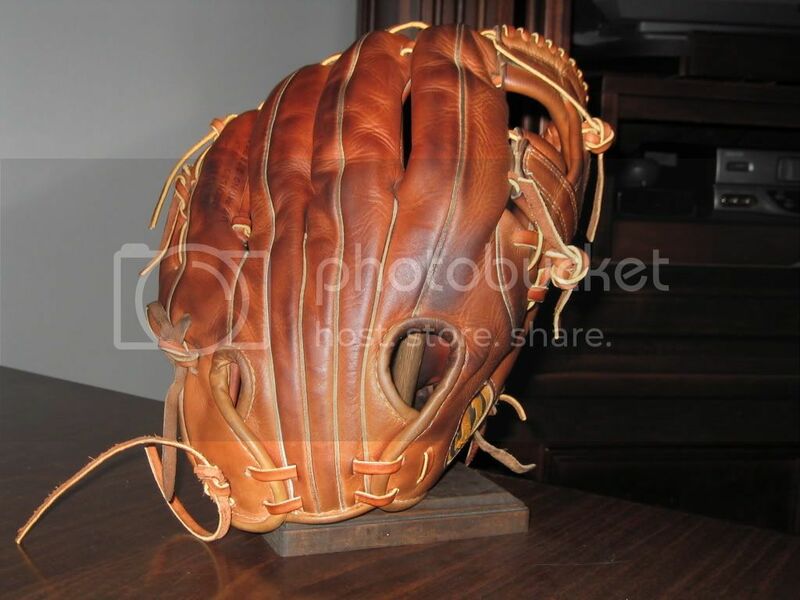 It is hard to believe that is a 30-year-old glove. It looks well used, but extremely well cared for. Is that your lacing job, or did you inherit it? I inherited the lace job from the person I bought the glove from. This is my softball gamer and has put more batters out than a pancake shop. These pics are two years old. Sweet glove, very nice lacing job. 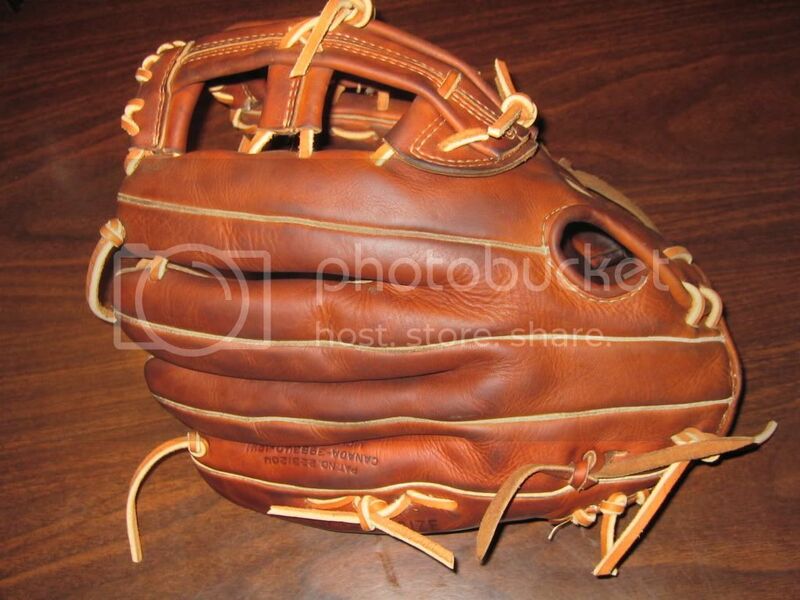 A beautiful U.S.A. made glove and a very nice lacing job. 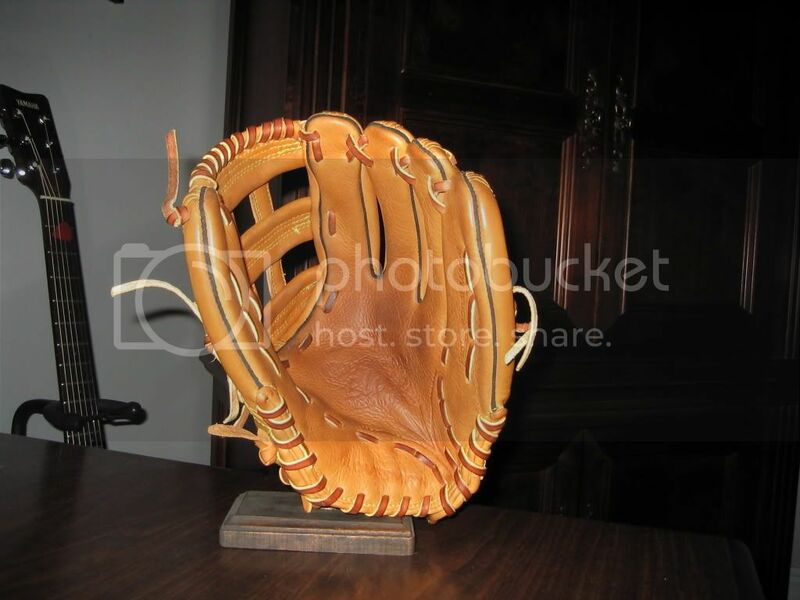 wow...seriously, looking at this glove just makes me want to get out there and play...talk about a nicely broken in glove! Thanks for the compliments, guys. I post the pictures because if you're like me, you enjoy looking at the gloves that others use and admire different designs that pictures can only depict. 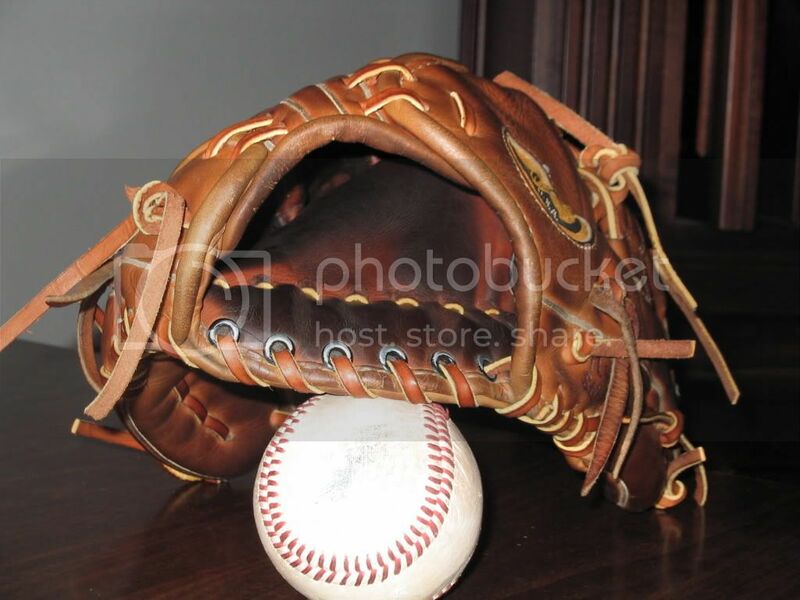 That glove sees most of it's action at 3rd base, although I am sometimes assigned to left or centerfield. The laces lost that "fresh" look long ago, but that pocket remains a black-hole for the softball, and on many occasions has participated in unassisted double plays. 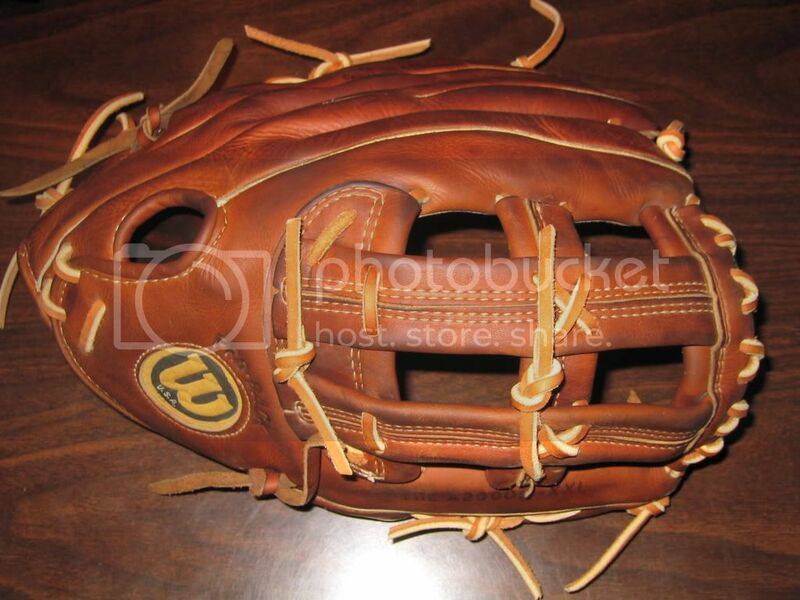 Lately, I have been playing the late Sunday game with my backup glove: a Glovesmith 13" with the same web design. It is very stiff, but getting "there". What size is that model, I am not familiar with it. Sounds like it's big enough for softball. Oh, and great re-lace job as always. The Glovesmith is a 13" and it is model 1300 unit #603 Msde in the USA Unsure of which year. Thanks for the comments. I will post more pics on different gloves later. They are fun to look at. 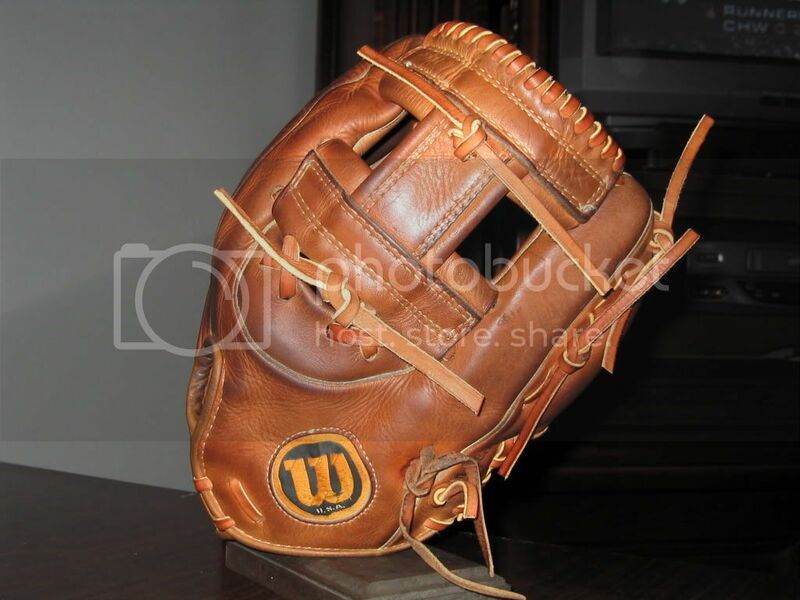 While I really like the Glovesmith, I was drooling over the Wilson. I have never seen that model A2000. I was wondering what size it was, as it sounds like you are using it for softball. 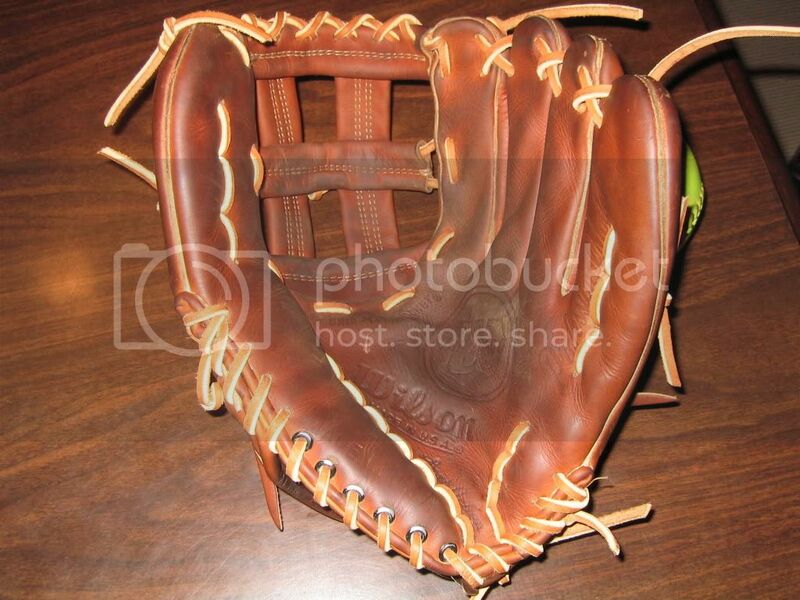 Gorgeous glove. 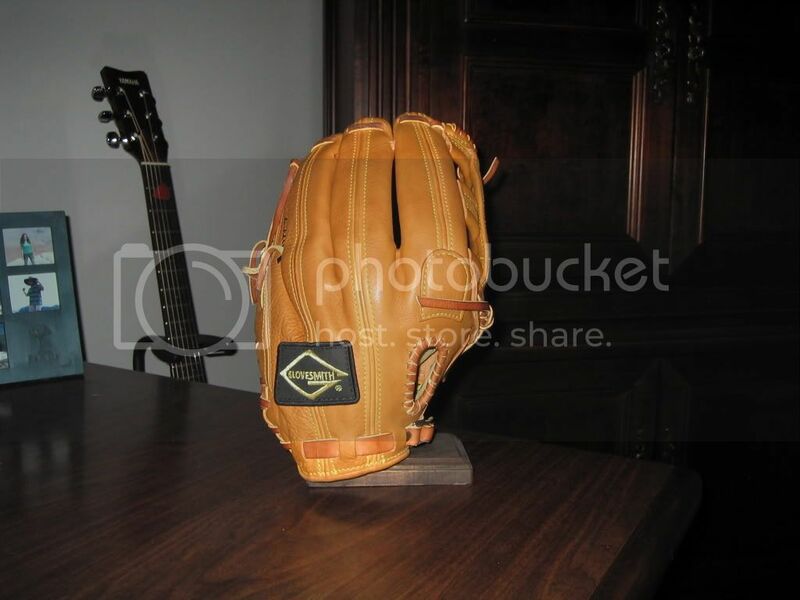 That Glove is at my house. When I get home, I will measure and post a reply. It is at least 12 inches and even though I could use it for softball, I don't. My XXL is my trusty weapon there. I will say this......the pocket is huge and this glove was designed for a player with large hands. The glove measures 12" inches. However, it has one of the widest/roomiest pockets I have seen on a glove. I will bring it to the park this weekend and let you know how it drives! Thanks for the info GG, let us know how it hugs the corners! Very nice work on the H-web A2000. I really like the look of the Xs on the middle bar. 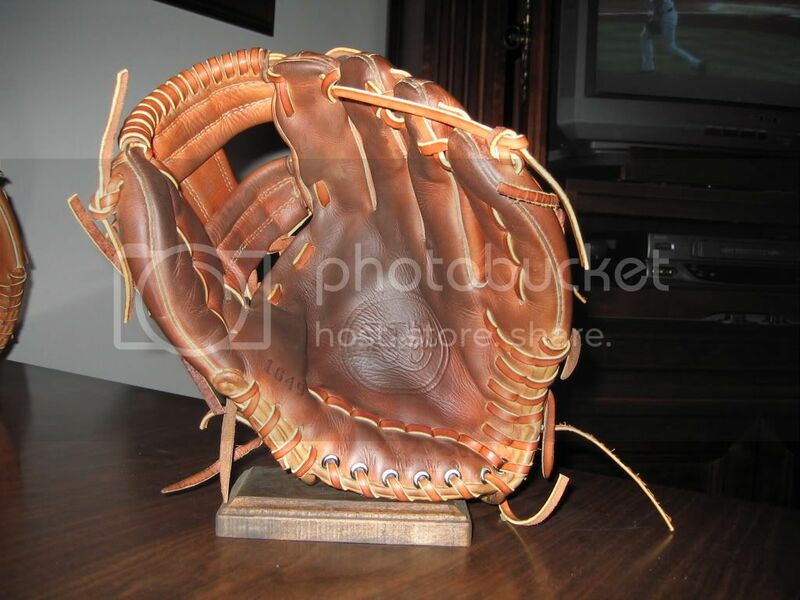 Thanks, I followed the original lace pattern for this glove, however, when I put the web laces in, I gave plenty of slack to allow a more secure catch. 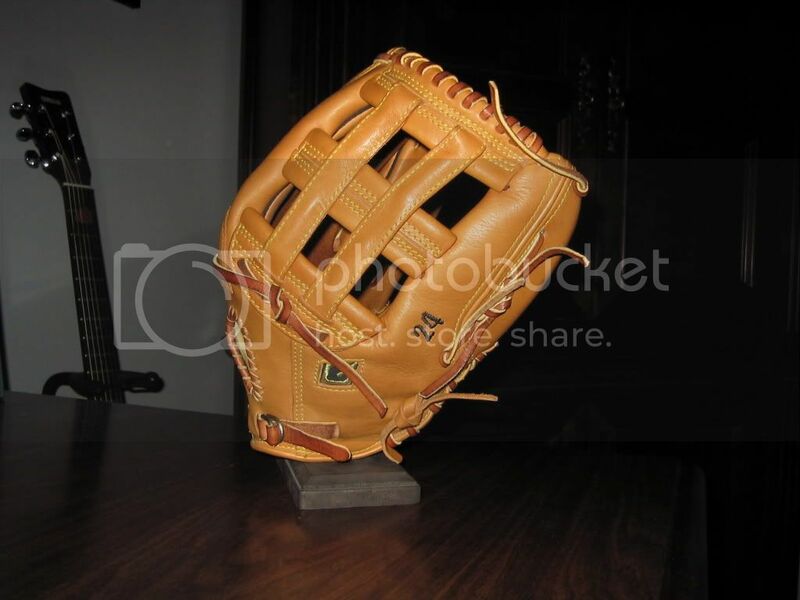 I earned the "Golden Glove" award for my Sunday game with that glove. In my opinion, it pays to spend more money on equipment if you are going to be a dedicated player.